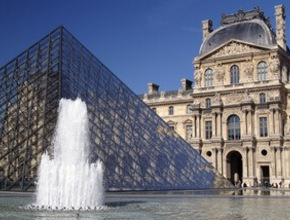 Home Paris Day Trips Luxury Escorted Paris Day Trip - includes guided tour of Le Louvre and Champagne lunch on the Eiffel Tower. Upon arrival you will enjoy a panoramic tour of the city taking in all the major sites including Champs Elysees, the Opera House and River Seine before arriving at the Eiffel Tower. 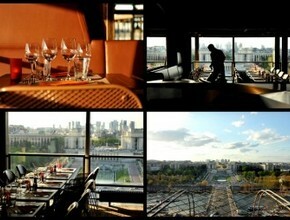 What better way to enjoy lunch than on the Eiffel Tower itself, one of the world's most famous monuments? Our fast entry ticket means we have priority access and our reserved seats in the Altitude 58 restaurant boast fabulous views across the city. Sit back and enjoy a glass of Champagne followed by a fabulous two course meal while soaking up the atmosphere of arguably the worlds most beautiful city. 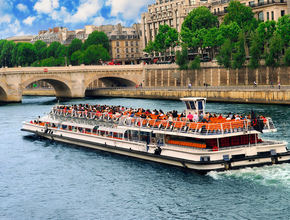 After lunch we take a romantic cruise on the River Seine that boasts spectacular views of Notre Dame, Musee D'Orsay and Place de la Concorde. In the late afternoon join us for a guided tour of Le Louvre the largest art museum in the world, and home to the Mona Lisa. Premium Tours will have no liability if Eurostar trains are delayed for unforeseen circumstances such as security alerts, third party action or bad weather as this is beyond our control. In such cases,please contact Eurostar directly to discuss any compensation that may be due. We were 2 couples, from the USA, spending 5 nights in London to attend a wedding and do some site seeing. We decided to try Premium Tours Day Tour of Paris. We could not have been happier! We shelled out for the full deal that included lunch in the Eiffel Tour, a boat ride on the Seine and a tour of the Louvre. What a day! Our tour guide, Charlotte, was a wonderful, friendly, and fun guide. She met us on the train in London and spent the whole day with us and back on the train to London. This was long(14 hours), tiring day but, worth every minute.